Summary: Moscow local time April 1 to 4, the 20th Moscow International Building Materials Exhibition MOSBUILD opened as scheduled. Jie, general manager of the Central Enterprise Group Heilongjiang Zhang Wenjing, Su Xin, general manager of the company in Langfang, He Hong, general manager of Tianjin Zhongjie, general manager Chen Hongwei Liaoning Zhongjie a total of seven leaders Collective exhibition debut. TheZhongjie Group bring advantages of scale, product diversification and regional distribution coverage, etc., for the first time in the building materials exhibition in Moscow show fist, and achieved good results. As an international building materials industry exhibition in Russia and Eastern Europe region and the largest and most influential, MosBuild exhibition every year attracts many market leaders and big brands to participate. A total of 2,103 exhibitors exhibition from 52 countries attended the exhibition to showcase their brands, a variety of building materials industry, new products and new technology. 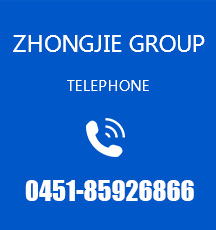 Our Zhongjie Group has a total of seven representatives of the highest process color steel double tracked equipment, distribution equipment as follows: 1 Tianjin, Langfang 2, Liaoning 2, Xian 1, Heilongjiang a device the size of the countrys best. On the show, the company unveiled a polyurethane board with core competitiveness, cotton and polyurethane sealing glass wool board, rock wool board for continental European market (no lateral edge rock wool board), but also Steel companies exhibited products as well as for the traditional Russian architecture developed ZJ-QB-C10, ZJ-QB-C21, ZJ-WB-C44, ZJ-WB-1100 partial arc antique tiles and other products. The exhibition, my group a variety of products subject to the attention of more than 200 companies, and more than 50 from Moscow, Kazakhstan, Tajikistan, construction companies, trading companies expressed a clear intention to cooperate, there are six companies made a clear inventory and procurement requirements. During the exhibition, the "north-south joint, and win-win" as the theme of the Zhongjie Group Managing level meetings held over the same period, several companies elite group in 2014 to discuss the development strategy, market analysis, product upgrades and other aspects . At the same meeting identified the European insulation materials giant "Taihe Nico," the companys strategic decision rockwool as the main raw material exports, while identifying the major equipment companies from Italy and ROBOM CBM companies to maintain a strategic plan to upgrade, and with Italy Vice President of Sales ROBOM companies have agreed on a timetable to visit China.